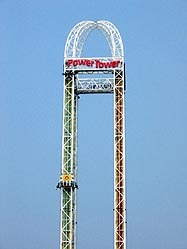 I rode Power Tower twice last summer (once on space shot once on turbo drop). They are both awesome! This is a must ride. The tower is so freaking enourmous, and when youre at the top you get an awesome view. Tons of fun! The anticipation on red is AMAZING! Both sides are great, great views, great air on red. LOVE THIS RIDE! The best drop/shot tower Ive been on. The space shot side is okay. 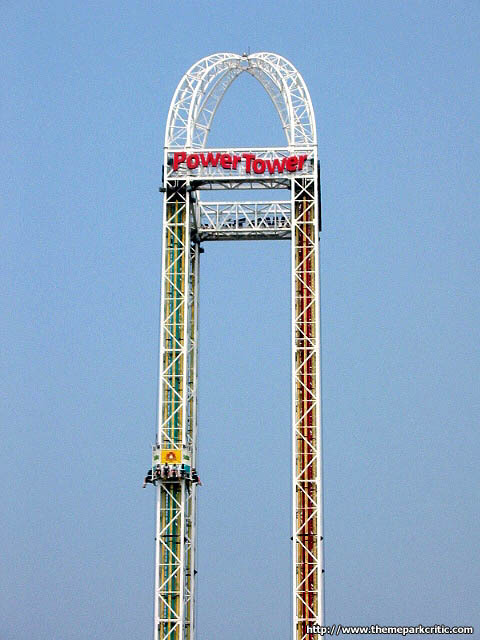 The drop tower is rather scary. Hanging out on a little chair above Lake Erie where the only thing between you and the pavement is a OTSR... then you drop. My hands were pretty sweaty at the end of this one! A great rush! Going up fast is great! While I think that the green (or blue, I dont know) side is better, both sides are great. 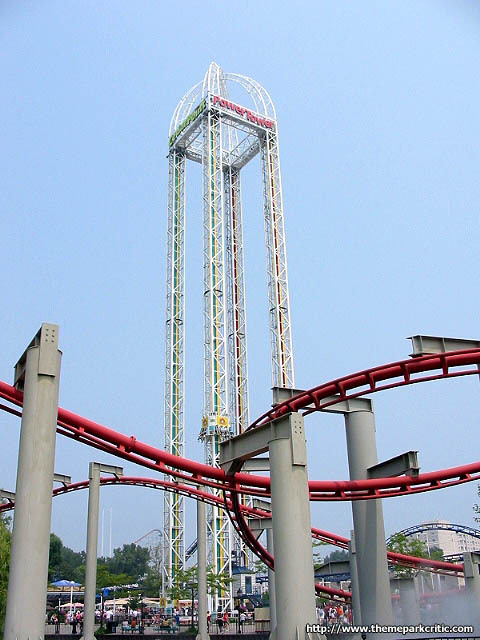 A fun thrill ride, that is better than other drop rides. I would have to say red kinda was the better side, anyway this is a great one but I was never into thses kind of rides that much. red or green, both are a great ride.